Thasos or Thassos is a Greek island, geographically part of the North Aegean Sea, but administratively part of the Kavala regional unit. It is the northernmost major Greek island, and 12th largest by area. Thasos is also the name of the largest town of the island, situated at the northern side, opposite the mainland and about 10 kilometres from Keramoti. 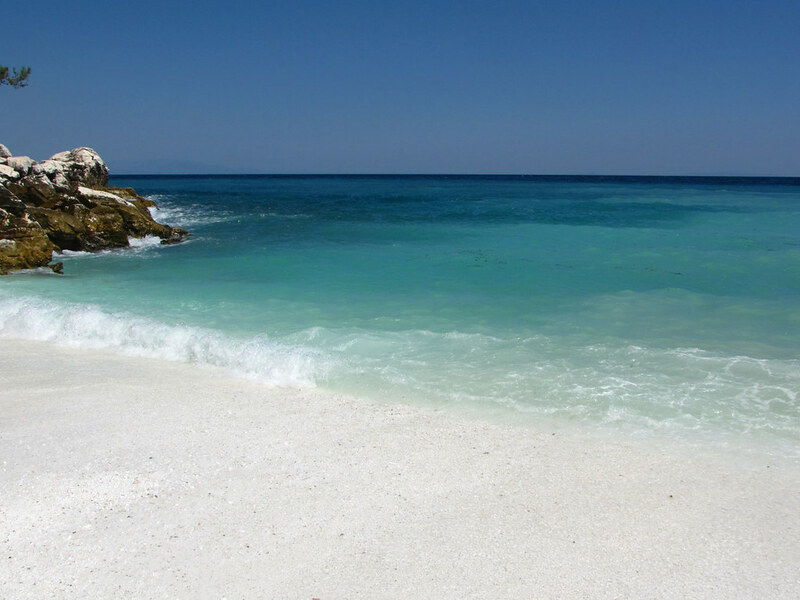 Thassos island is known from ancient times for its termae making it a climatic and balneoclimateric resort area. Thasos's economy relies on timber, marble quarries, olive oil and honey. Tourism has also become important since the 1960s, although not to the level of other Greek islands. Thasos island is located in the northern Aegean sea approximately 7 km from the northern mainland and 20 kilometres south-east of Kavala, and is of generally rounded shape, without deep bays or significant peninsulas. The terrain is mountainous but not particularly rugged, rising gradually from coast to centre. The highest peak is Ypsario, at 1,205 metres, somewhat east of centre. Pine forest covers much of the island's eastern slopes. The island is formed mainly by gneisses, schists and marbles of the Rhodope Massif. Marble sequences corresponding to the Falacron Marbles intercalated by schists and gneisses, are up to 500m thick and are separated from the underlying gneisses by a transition zone about 300 m thick termed the T-zone consisting of alternances of dolomitic and calcitic marbles intercalated by schists and gneisses. The Late Miocene oil-producing Nestos-Prinos basin is located between Thassos island and the mainland. The floor of the basin is around 1,500 m deep off the Thassos coast and up to 4.000–5.000 m in the axial sector between Thassos and the mainland. The basin is filled with Late Miocene-Pliocene sediments, including ubiquitously repeated evaporite layers of rock salt and anhydrite-dolomite that alternate with sandstones, conglomerates, black shales, and uraniferous coal measures. Stratigraphically equivalent rocks on the mainland are clastic sediments with coal beds, marine to brackish fluvial units and travertines. The blue markers shows the location of various accommodations in Thasos Town. The letter in the marker describes the accommodation types: H for Hotel, A for Apartment, R for Resort, B for Bed & Breakfast and O for Other (e.g. pension, villa). Click on the blue marker for more information on the accommodation.